Keeping in mind the diverse requirements of customers, we are engaged in offering an extensive range of Paste Mixing Machine. 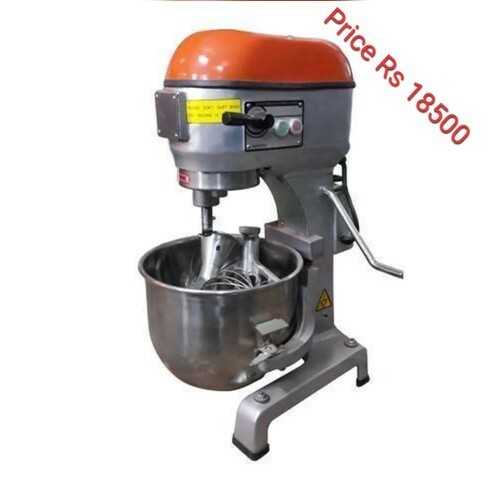 This product is used for mixing paste in industrial, commercial and many more application areas. We provide product to the patrons after testing it on various parameters to ensure its accurate performance. Besides these, customers can avail product from us as per their specifications on request. Incepted in the year 1990, Packing Machine Wala is well known amongst leading companies for manufacturing, exporting and supplying a comprehensive range of Tray Sealer Machine, Jar Sealer Machine, Pouch Sealing Machine, Automatic Pouch Packing Machine, Paste Filling Machine, Carton Strapping Machine, Vacuum Packing Machine & many more. We are a Sole Proprietorship based company and the products of our company are highly recommended amongst the customers for their hassle free performance, long functional life, best quality, effective usage and many more attributes. Our products are manufactured from superior quality material and using modern technology. The products of our company are available as per the industry standards and known for their usage in various application areas like food, beverages and many more. Customers can avail products from us as per their specifications on request and at industry leading prices. We are exporting our products to Gulf Countries, Europe, Bangladesh, Sri Lanka, Australia, South Africa and U.S.A.